Sadly we note the passing of long time parishoner Vera Olive McConnell. On Saturday March 21, 2009, The Mass of the Resurrection was held for Vera at St. James. 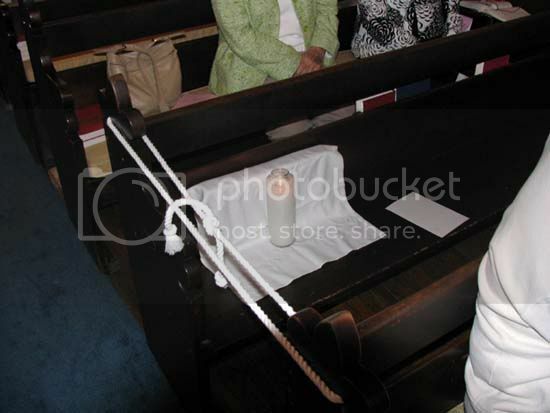 A votive candle marks Vera's pew during mass on Sunday March 22nd. Everyone who know Vera loved her, and she will be greatly missed. St. James Church School will commence this Sunday, March 22, 2009, under the leadership of Phyllis Moreland and Milbourne Taylor. Classes for all ages begin at 11:00 a.m.
Parents with kids planning to attend, or who have questions regarding the program, should see Phyllis or Mil. Children in the nursery will be coloring pictures depicting favorite stories from the Old Testament. Elementary students will learn about the Miracles of Jesus. 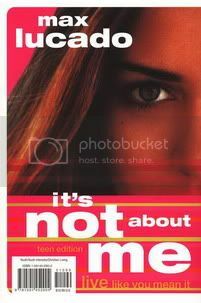 Middle school and high school students will be using an exciting program by Max Lucado called "It's Not About Me". Christian Education is an important part of the ministry at St. James. Can you help? There is a need for substitute teachers, as well as for a caring and capable person to provide nursery care during the service. St. James' Cheeseballs Available Now! They're famous! They're delicious! Best of all, they're available now! 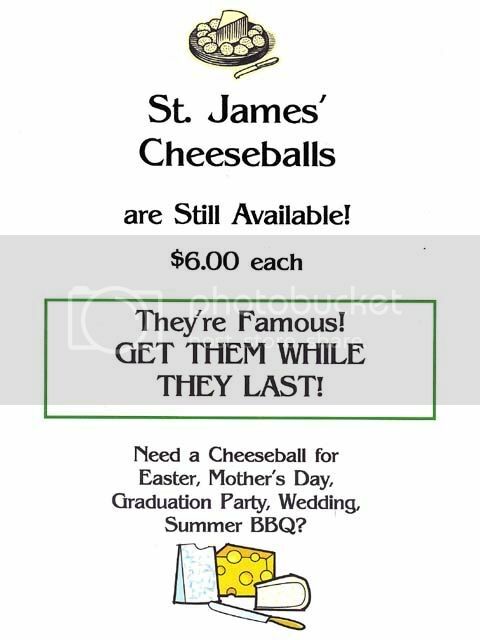 To get your St. James' Cheeseballs contact the parish office today! 12:00 Noon. Bring a sack lunch and join us for social time following the service. 5:30 P.M. Followed by a light Lenten supper. A sign-up sheet is in the narthex for main dish or soup, salad, and bread. Fr. Larry will administer the Sacrament immediately following the 11:00 A.M. service. 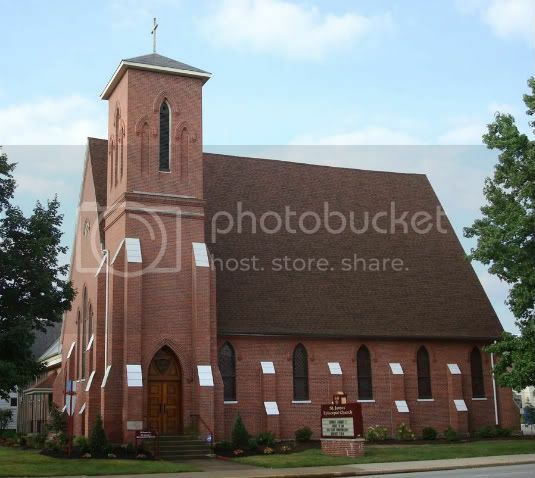 There will be a celebration of the Anglican/Roman Catholic Agreement on Mary at St. Matthew's Cathedral, South Bend. Sister Ann Astrell, a Schoenstadt Sister of Mary, will be the preacher at Vespers, Bishop D'Arcy and Bishop Little will share thoughts on their devotion to Mary. All are invited. The service begins at 7 P.M. Call Mother Tina Velthuizen for more information at 574-233-8197. St. James' Cathedral, South Bend, 10:00 A.M. Lay people and clergy invited to attend. There will be a healing service in conjunction with the Chrism Eucharist to meet the spiritual amd pastoral needs of many persons. You need to make reservations if you plan to attend. Call Katie in the parish office for details.